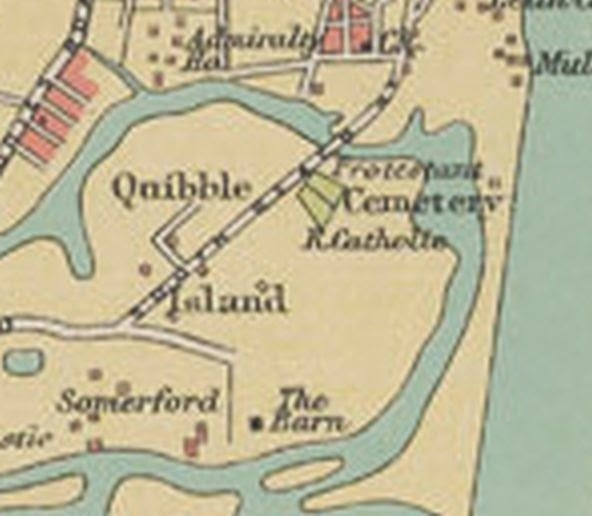 1746 -- Battle of the Adyar River took place at Quibble Island, near the Adyar River on 29 October. 1746 between the 300 men of the French East India Company led by Captain Paradis and a much larger force of 10,000 men belonging to Anwaruddin Muhammed Khan, the Nawab of the Carnatic. The Nawab claimed Madras from the French and the French won and occupied Santhome. The Battle of the Adyar River acclaimed the advent of modern artillery warfare into the country's antiquated military system (cavalry). The battle led to their formation of the regiments that were to prove the nucleus of the Indian Army. 1746 - 1763 -- Three Carnatic Wars were a series of battles, primarily between the East India Companies of the British and French, for control of the trading ports of India. 1746–1748 -- The first Carnatic War was the fallout of the Austrian war of succession, in which France and England were in opposite camps. 1749–1754 -- The Second Carnatic War was closely linked with the dispute of succession in the Nizam Hyderabad and over the Nawabship of Carnatic. The French supported Chanda Sahib, who claimed the throne of Carnatic and the British supported Mohammed Ali. The troops of Robert Clive with the support of Marathas defeated Chanda Sahib. Clive captures Arcot and the English emerge victorious. Mohammed Ali the Nawab of Arcot, became the undisputed leader. The Nawab of Arcot gifted Santhome to the English. 1755 - the King’s Barracks were built at Fort St.George to accommodate the bachelor officers and ranks of the East India Company Army. This King's Barracks was spreading over 10,000 sq.meters. 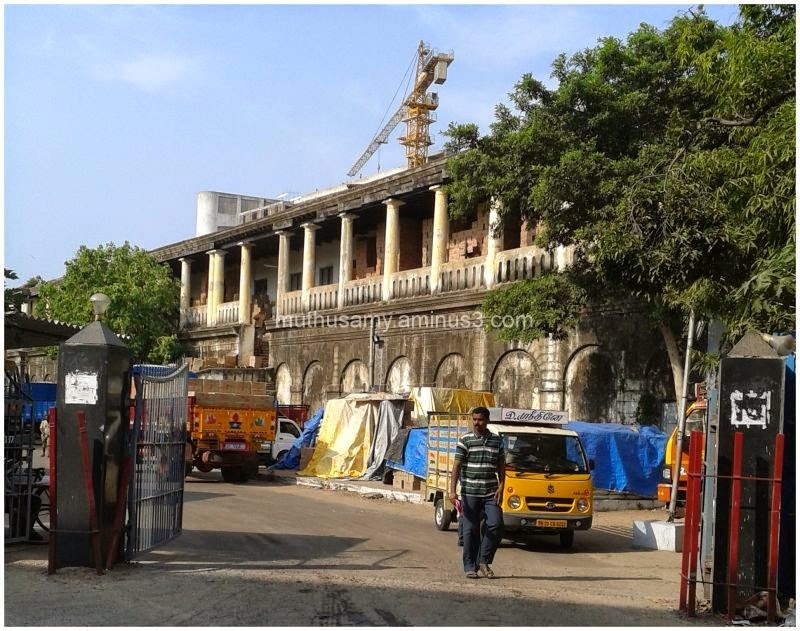 A Grand Arsenal was added to store the ammunition required for the Carnatic Wars and some private property was acquired to build barracks for the soldiers. 1756 - To expand the Fort St.George, the small Elambore River flowing as the Western defence was diverted by filling Earth. The massive quantity of Earth was obtained by leveling the natural mound called “Hog’s Hill” (Narimedu) located further West. Cisterns were built to support water requirements for about 6000 men. 1757–1763 -- The Third Carnatic War was merely an echo of the Seven Years' War in Europe. 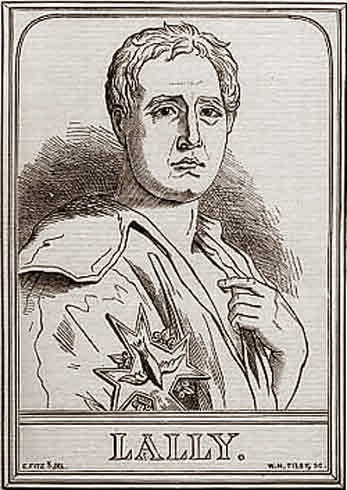 The French Government sent a powerful army under the command of Thomas Arthur Comte de Lally to mitigate the influence of the British in India. 1752 -- Madras once again became of the seat of the Presidency. 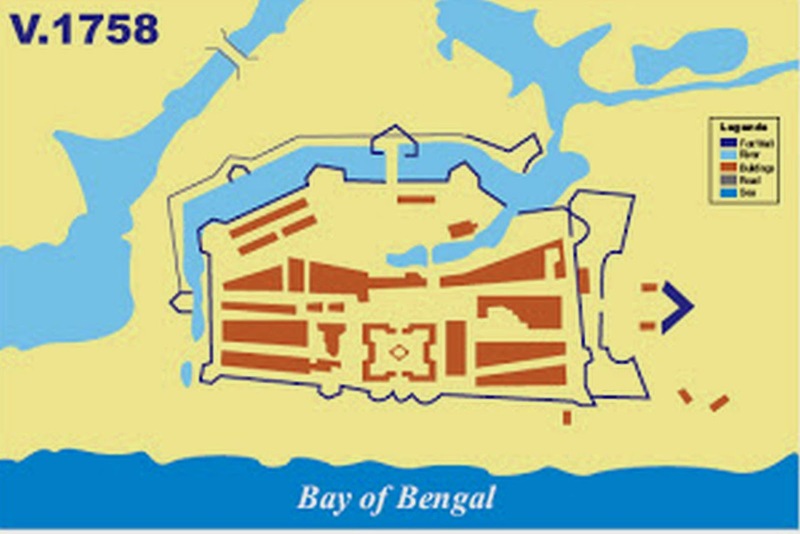 1756 -- Period of hectic construction and reconstruction of the Fort, most of which remain today. Strengthening of the western front of the Fort and leveling of Hog Hill, the natural mound further west. King's Barracks built within the Fort to house the King's Regiment. When war broke out with Great Britain, the French government chose Thomas Arthur Comte de Lally to command a French expedition to India. 1757 -- This expedition took a certain time to organize and finally it left Brest in May 1757. 1758 -- French expedition to India with Lally and staff reached Pondicherry on April 7 1758. In May 1758, his troops captured Cuddalore. 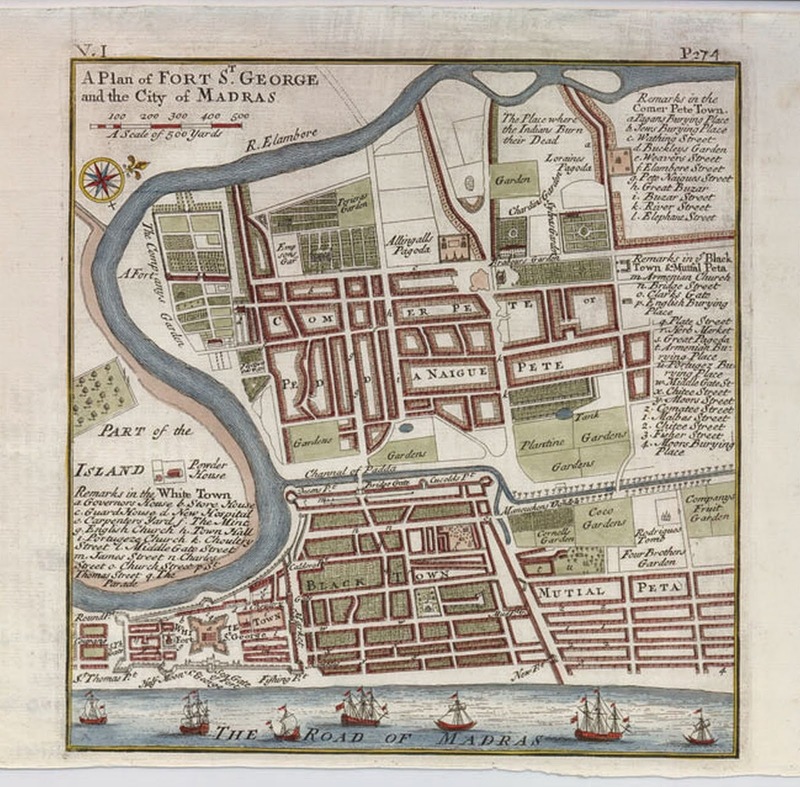 In December 1758 Lally laid siege to Fort St.George (siege of Madras). The Siege of Fort St.George commenced in December 1758 and continued for 67 days by French forces under the command of Lally during the Seven Years' War. The siege was lifted with the support of British fleet in February 1759. Comte Lally anchored his artillery at a remote place (present Parrys corner) and his French artillery managed to maintain uninterrupted shell fire for 46 days. As a result the fort was reduced to crash including the storeyed houses within the Fort. The British troops also retaliated 26,554 cannon balls and more than 200,000 cartridge rounds in defence of the town. 1759 -- Despite bombardment of Fort St. George over nine weeks, Lally and the French troops were forced to raise the siege of Madras on February 16 - 17, 1759. The failure to capture Madras was a huge disappointment for the French and a massive setback to their campaign in India compounded by the later Battle of Wandiwash. 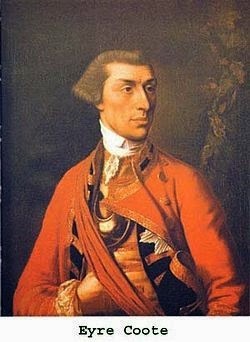 1760 -- On January 22 1760, Lally was defeated by Sir Eyre Coote, an Irishman born in Kilmallock, Co. Limerick, at the Battle of Wandewash and finally surrendered to a British force. The British then undertook the Siege of Pondicherry. On September 3, a sortie conducted by Lally failed. The English captured Pondicherry and Mahe, badly defeating the French. This defeat put an end to the French empire in India. 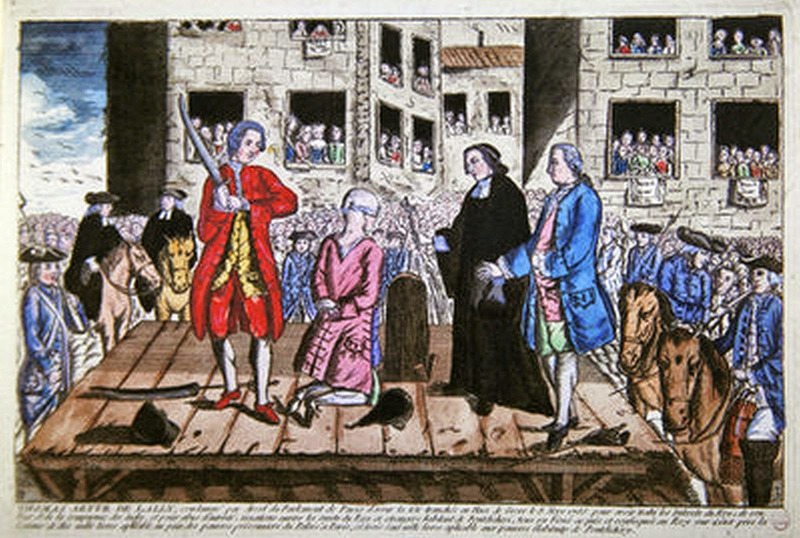 1766 -- 9 May, 1766 - Thomas Arthur Lally, Comte de Lally was executed for losing Pondicherry in India to the English. Lally was a courageous man and an able general, but his arrogance meant that he was not popular with his officers and was hated by his men. He despised native Indians and readily violated their customs and traditions. Initially he had some minor military successes, but his manner and demeanour were against him.